There’s only one way to efficiently store your keys and it is not your regular, old keychain. Get rid of that outdated hunk of metal and upgrade to KeySmart Leather, the world’s most effective way of storing all your keys in one simple spot. Come see what makes these leather key organizers so popular for 37% off the original price while supplies last! This simple device is very popular among consumers due to its stylish leather exterior and simple design. As the leader in cutting-edge key wallet technology, KeySmart has created a method for you to minimize clutter in your pockets. Each KeySmart Leather key organizer can carry up to 10 keys at once. That’s more than enough keys for most of us. Then, you can attach to it your car key fob or clip on to your belt loop. As the newest KeySmart Leather, it’s bigger and bolder than the original KeySmart. Thicker plates will ensure that it can withstand anything life throws your way. Carrying your keys never felt so good. 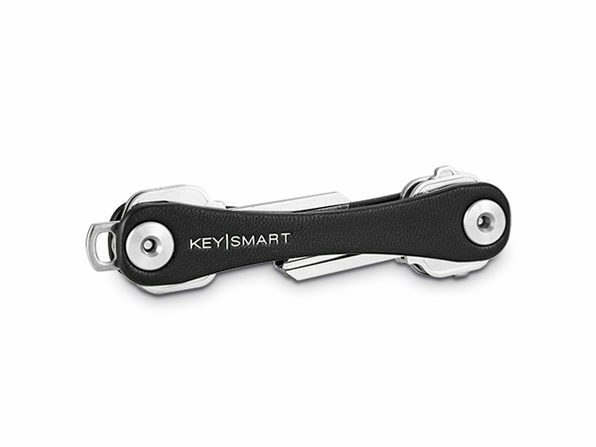 Get the KeySmart Leather today for just $24.99, which is 37% off the original price.